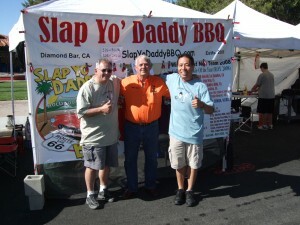 We finished 4th amid 38 teams at the Best Dam Barbecue held at Boulder City in Nevada on May 29, 2010. Teams as far as Colorado, Arizona, California, and Utah participated. 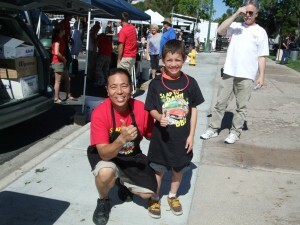 Congrats to our friends Rhythm & Que from Arizona for taking GC, and my buddy Dave Malone from All Sauced Up from California for RC. 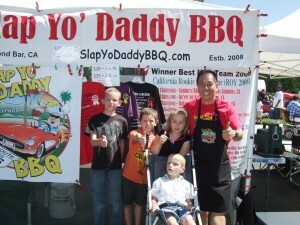 More fans of Slap Yo Daddy BBQ! 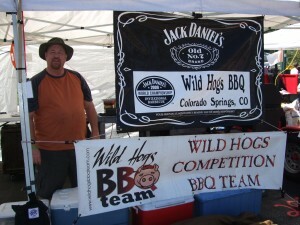 A big thanks goes to Larry Smith, officials, volunteers, judges, and helpers. 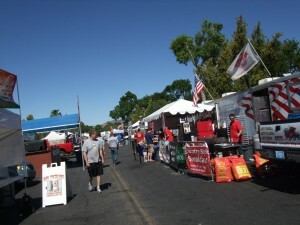 We’d like to thank our terrific Sponsors: Rocks BBQ System for our Stoker temperature control system, T&H Meat and Sausages for our meat products, TheSlabs.com for our rub products, Cajun Grill for our Weber stainless replacment doors, Smokin Guns for our rubs , Butcher BBQ for our injections, and Snake River Farms for our Wagyu meat products.